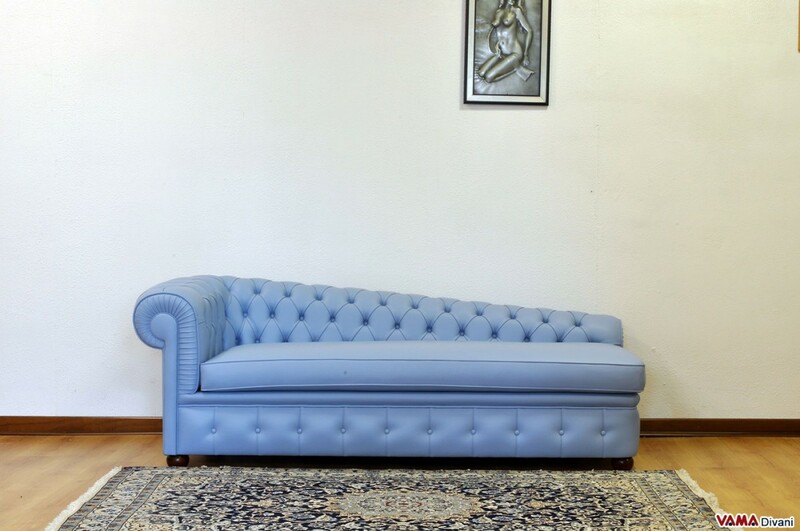 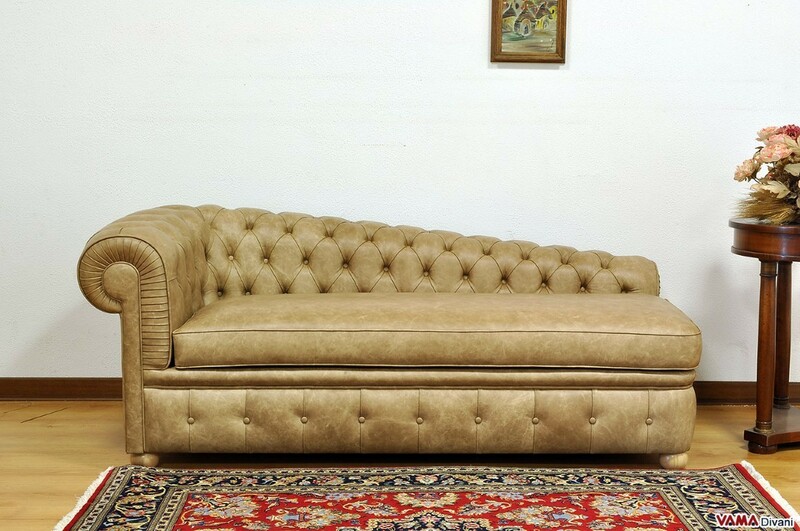 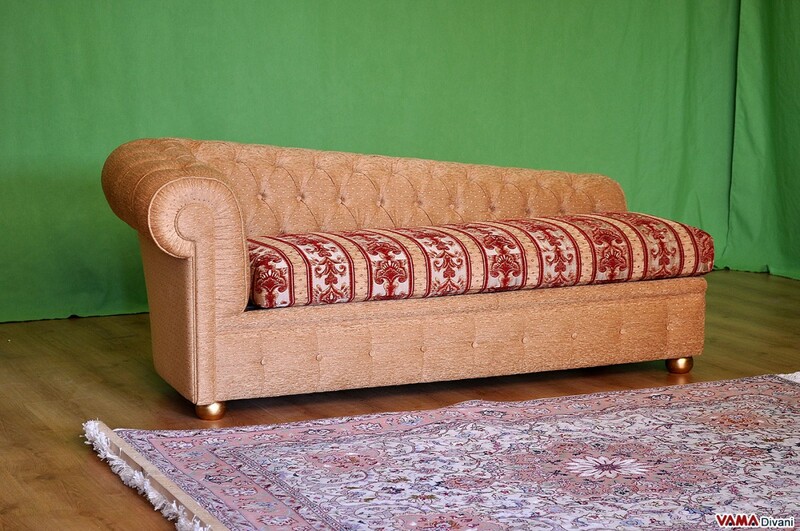 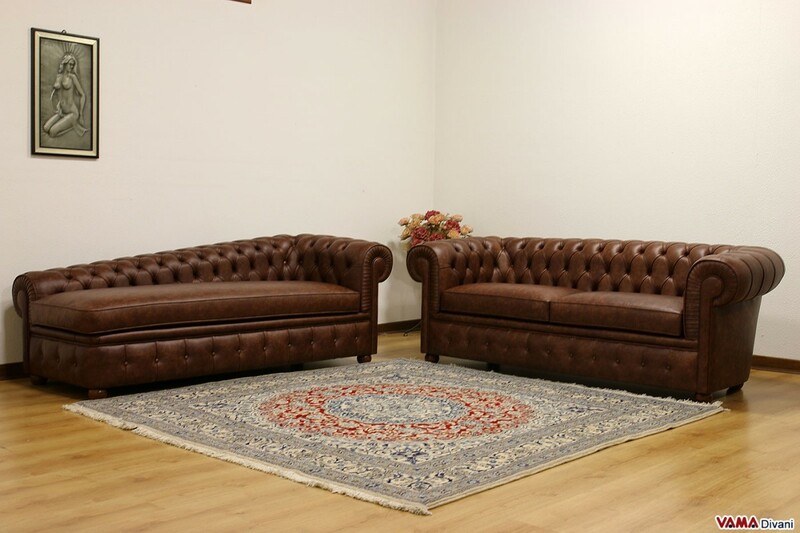 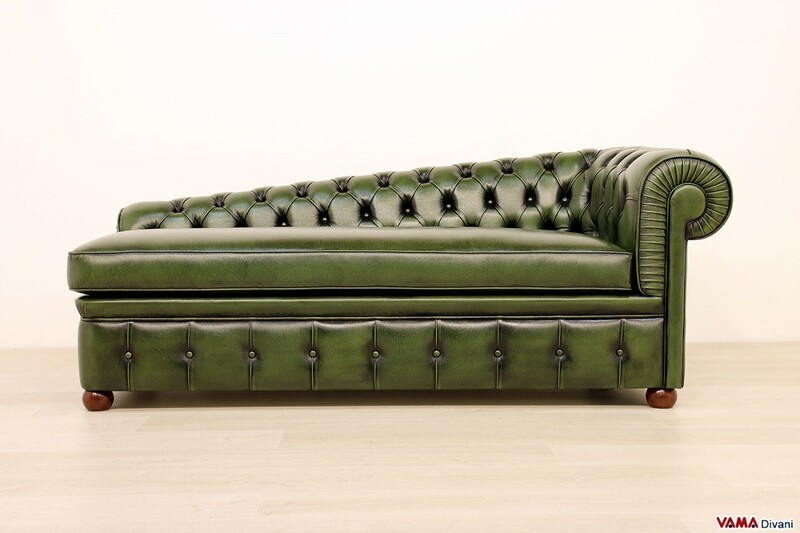 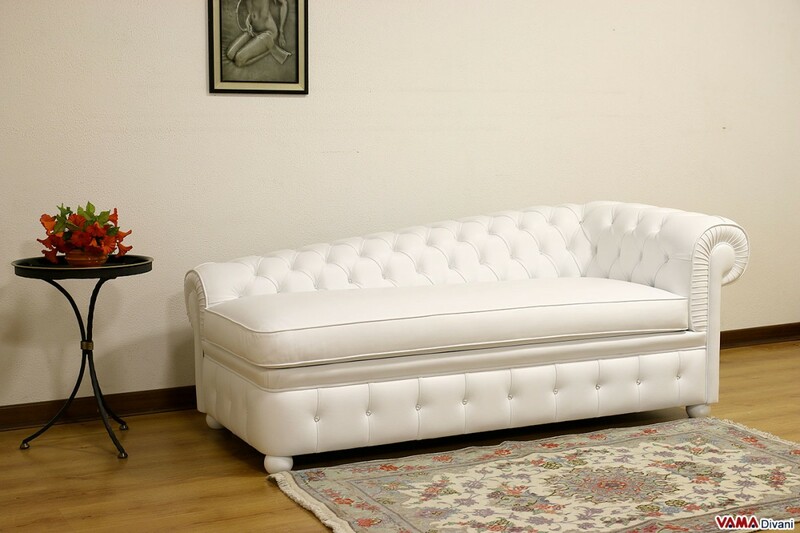 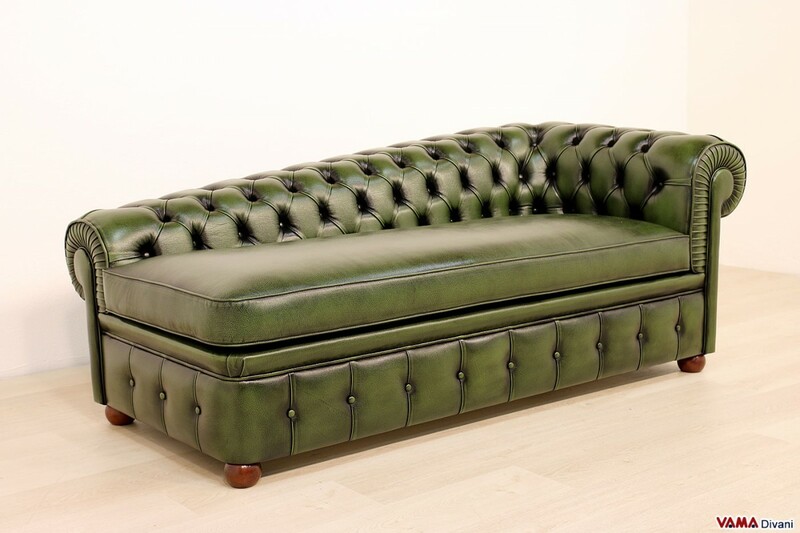 The chaise longue is an unusual and very decorative sofa, and this beautiful Chesterfield chaise longue, upholstered by buttoned details realised by our Italian craftsmen, is an incredible charming piece of furniture for lovers of Vintage style. 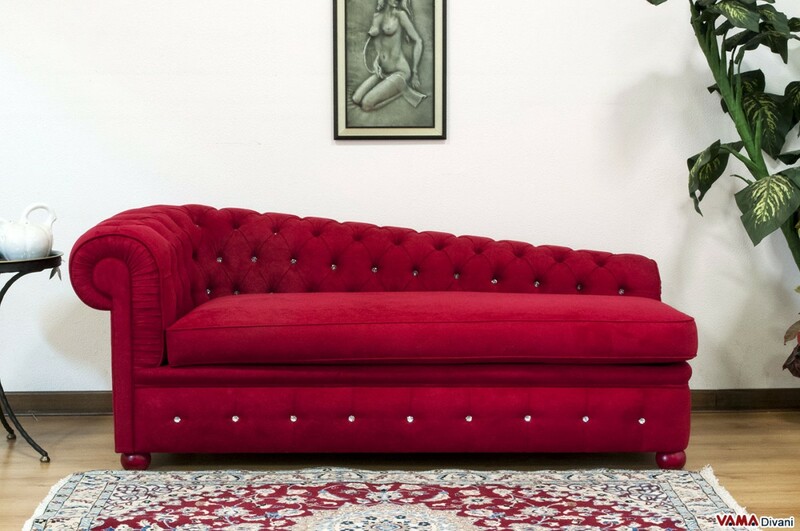 This so captivating chaise longue presents all the characteristics which the famous "Chester" sofa features, including the details of its arm, the buttoned base and its wooden onion-shaped feet, combining them with the detail that unequivocally distinguishes a chaise longue: its seat back which gradually drops until it entirely vanishes in the opposite end compared to the side equipped with an arm. 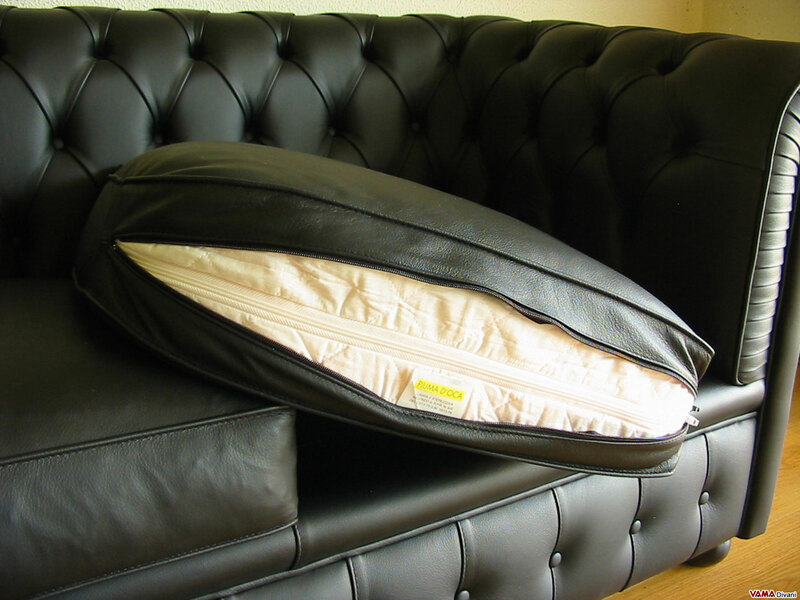 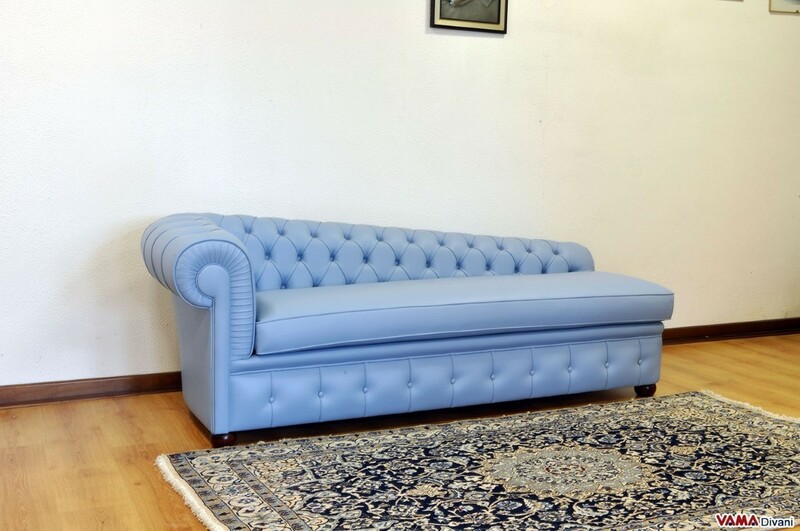 The seat cushion is only one without divisions but it can also be made with buttons, as you can see on our Chesterfield chaise longue with buttoned seat. 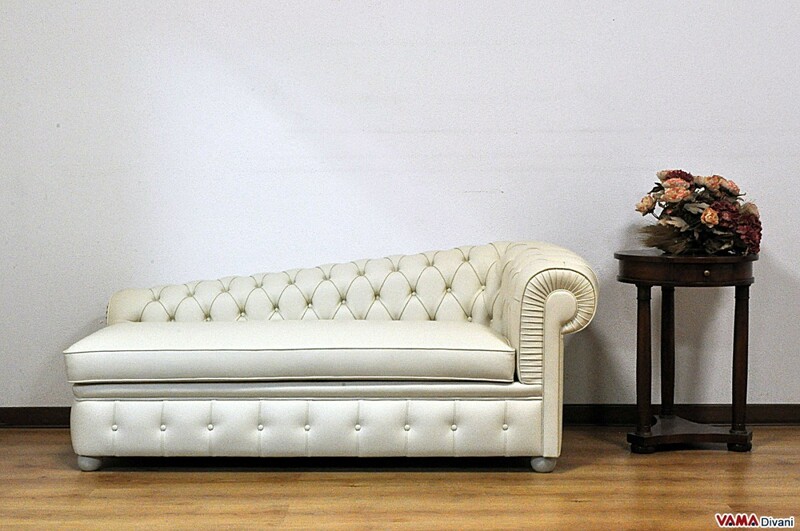 A chaise longue like this, besides allowing you to sit as in a common sofa, is perfect to completely relax. 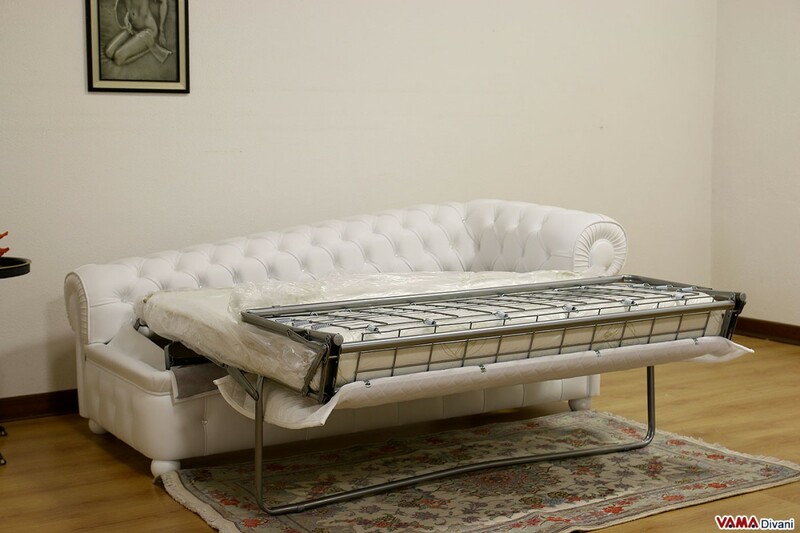 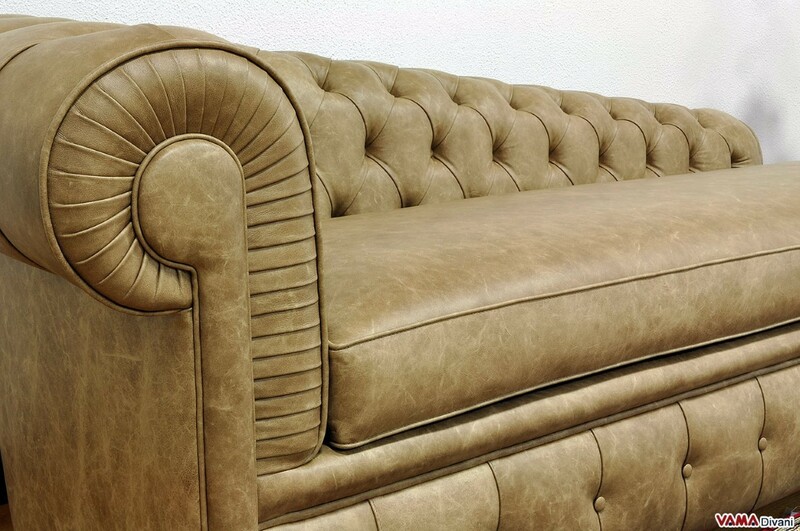 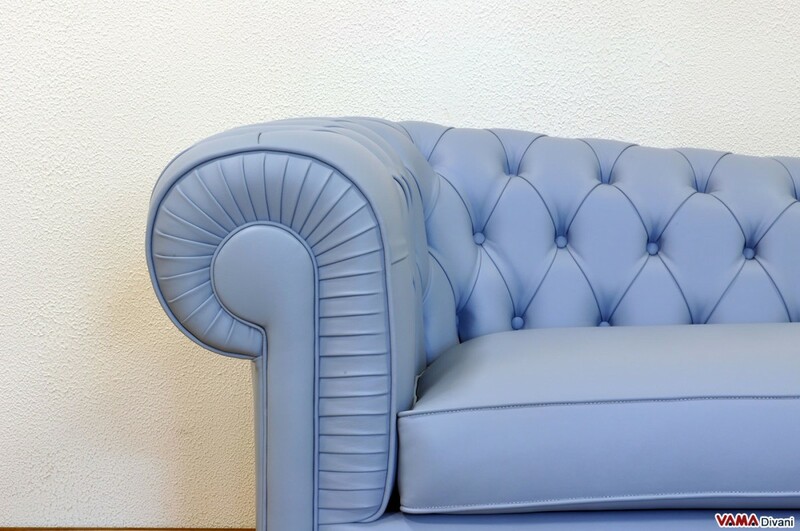 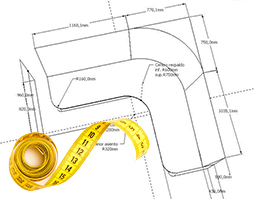 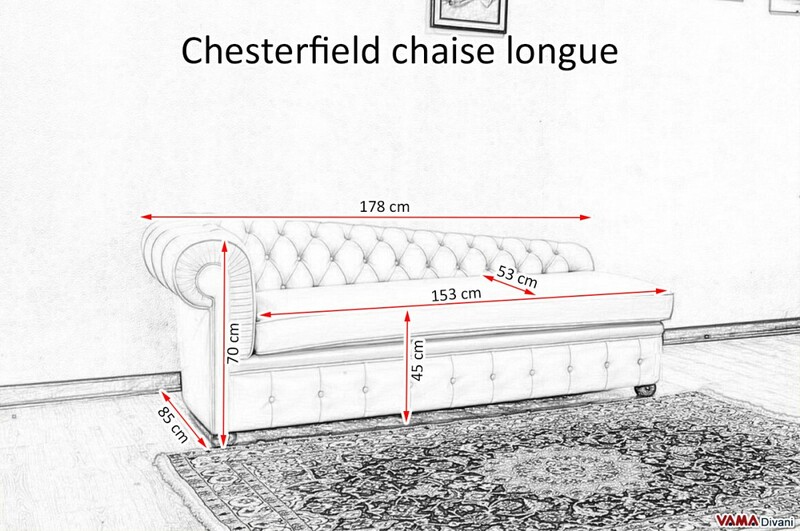 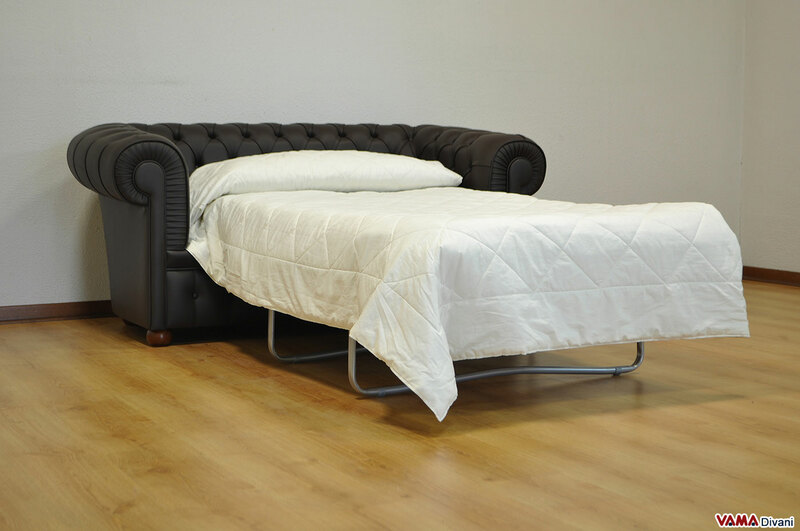 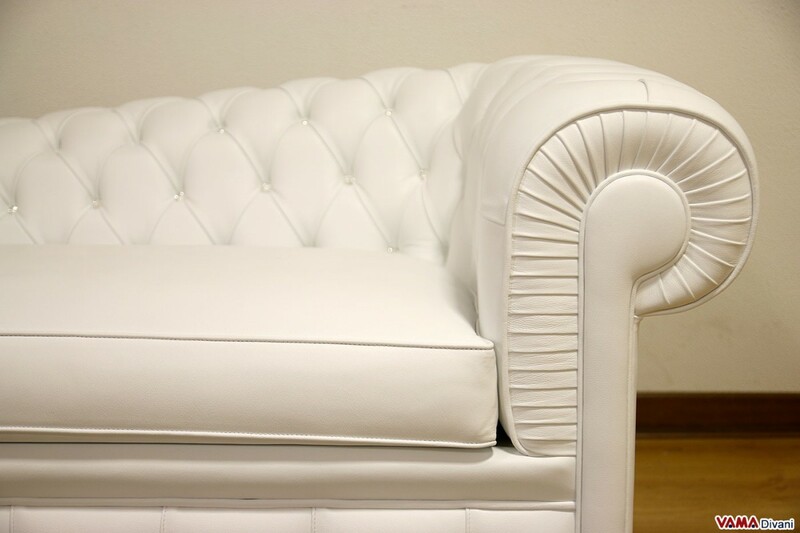 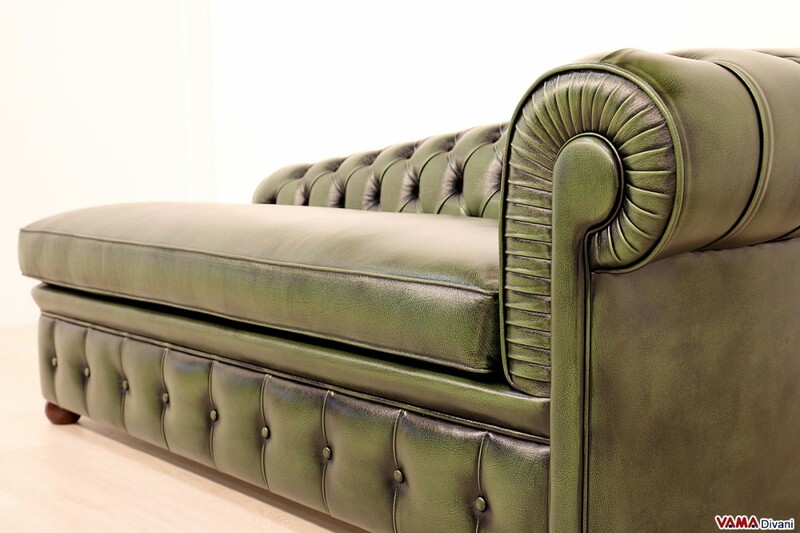 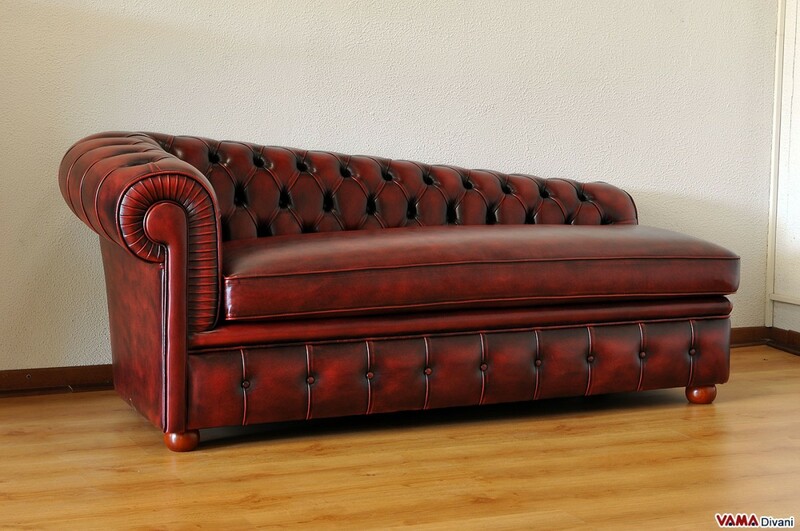 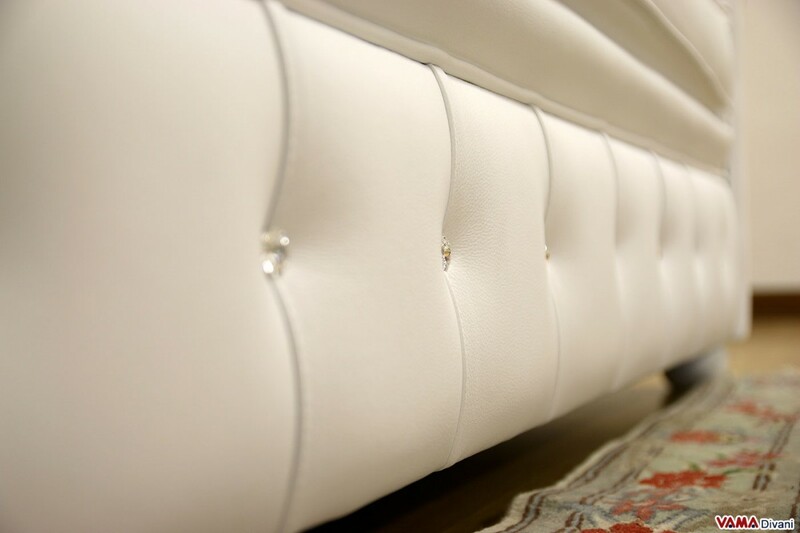 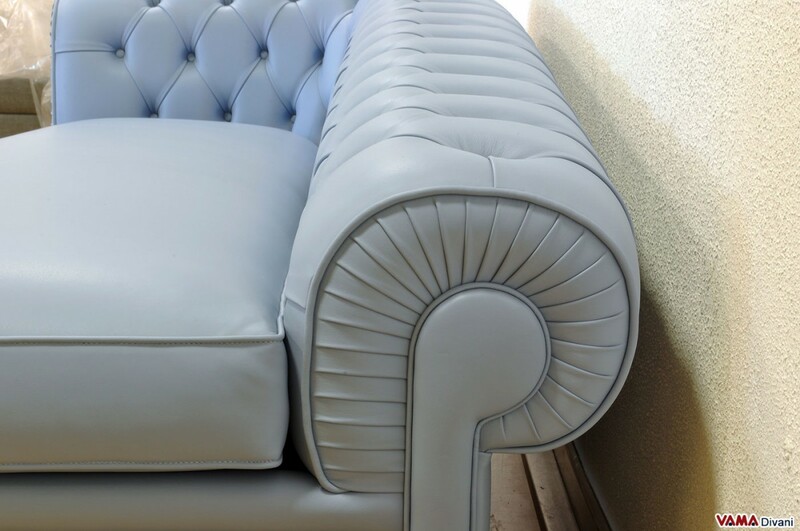 The Chesterfield chaise longue is 178 cm long, but we want to remind you that, like all our products, you can also order your custom chaise longue.